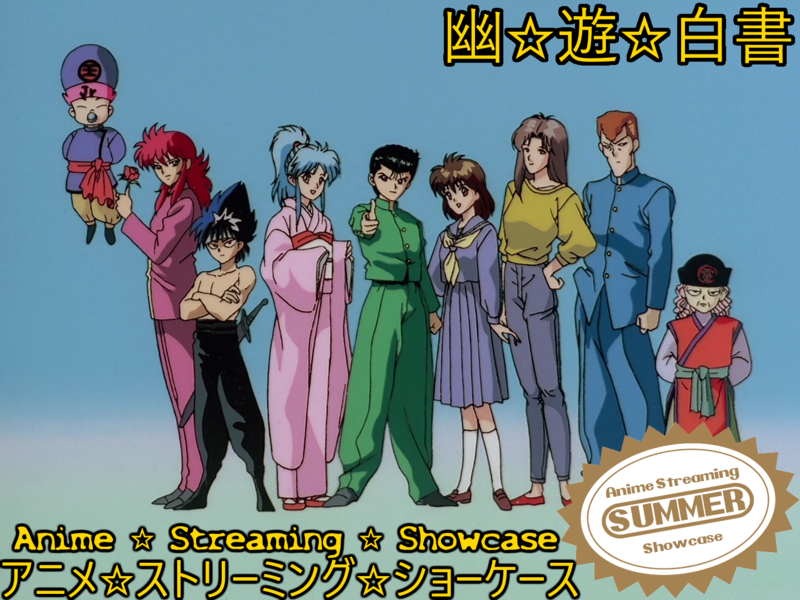 We kick off the ‘Summer of A.S.S.’ with Yu Yu Hakusho, dipping into a 25 year old series rife with fandom and nostalgia on this week’s A.S.S. Yoshihiro Togashi, a name that, when mentioned among the manga community, often conjures up reactions ranging from high-praise, to jokes about his health, and even Dragon Quest. 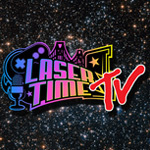 While he only has a few successful series under his belt, his legacy lies with his two most prominent series: Hunter x Hunter, and the show we’ll focus on this time, Yu Yu Hakusho. (Don’t worry, I will discuss Hunter x Hunter sometime in the future, as it might be my favorite shonen anime series of all time). But before that day, we’re going to look at the series that rose Togashi to prominence, and another one of my all-time favorites. Yusuke Urameshi is the main protagonist of Yu Yu Hakusho, and the show starts with his death. Don’t worry, it’s not exactly super graphic or morose, but that’s simply the beginning of the show. He’s then greeted by the Grim Reaper herself, Botan, who whisks him away to the Spirit World to meet the great King Enma and his son Koenma who offer him to return to the world of the living if he can prove himself worthy. Unfortunately for Yusuke, due to his past of being a delinquent, punk teenager who would choose to happily fight and bully others over more “positive” moral choices, his chances of reincarnation are slim. But thanks to his sacrifice that lead to his accidental death, Koenma and Botan tend to skirt the rules and help Yusuke return to his body and resume his life; with one caveat: to assist them in maintaining a watch on supernatural spirit activity and the world it emanates from. Thus begins Yu Yu Hakusho and a story of strength, friendship, tactics, over-the-top battles, paranormal enemies, and growth. 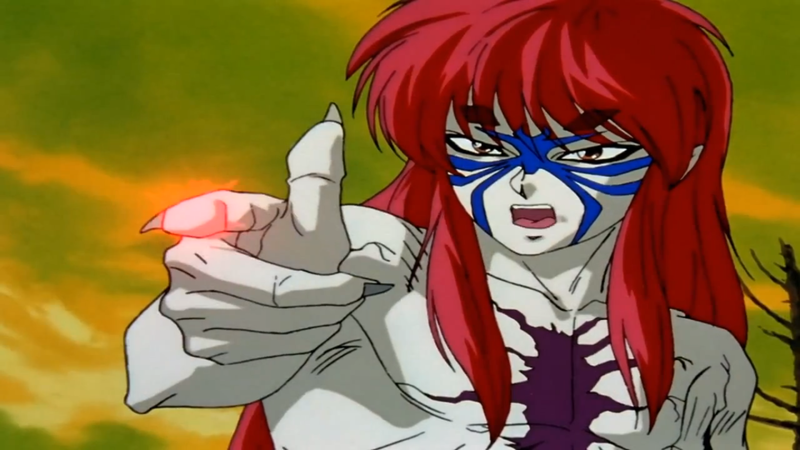 If I’m going to be completely frank, Yu Yu Hakusho’s slowest moments are in its opening episodes. Don’t fret, they’re still well-crafted and directed, with nary a break in the flow, but when you realize the components that are set to arrive once Yusuke’s an actual Spirit Detective, the series rarely lets up and delivers constant action and interest throughout its world. The series can fundamentally be broken up into four arcs: the Spirit Detective saga, the Black Tournament saga, the Chapter Black saga, and the final arc, the Three Kings saga. Each saga is an almost self-contained saga that naturally continues from the previous, but builds the world and lore of Yu Yu Hakusho further. Friends and enemies return and plot points return to influence and tie-in new developments to future arcs. Togashi was way ahead of others at this point in storytelling in Weekly Shonen Jump and he even further expands on this ability to spin his yarns in his follow-up series Hunter x Hunter. In fact, a number of designs seem to populate HxH’s world quite frequently. Interestingly enough, I’ve read a few opinion pieces and articles criticizing Togashi for the ‘abrupt’ change in tone of the opening chapter and episodes of the series, but Togashi evidently insists the tone-shift was planned all along. Rather than being a supernatural “Detective Conan”, Yu Yu Hakusho becomes a human versus demon fighting series gradually enough, that it’s hard to see that it wasn’t planned otherwise. I mean, Yusuke’s most notable feature that he was criticized by his peers and enemies whether alive or dead was his temper and fighting ability. It only made sense to transfer that development into his new life with expanded abilities and spirit power. Add in a few rivals and anti-heroes, and you have a typical shonen setup for your long-running series about hunting and battling demons bent on invasion and destruction of the human world. But it isn’t until the second arc, the Black Tournament saga, that Togashi’s ability to create incredible characters both good and evil shines throughout. The first arc placates the reader or viewer, but then Togashi kicks it into overdrive with the next two arcs and delivers solid and memorable stories that are still entertaining to this day;25 years since its inception. Yu Yu Hakusho’s flow and pacing is quite exceptional, and the anime benefits from lack of filler content a lot of adaptations often get inundated with. However, if you’re not a fan of pure shonen tropes, be forewarned: despite Togashi be subversive and ahead of the curve with Yu Yu Hakusho, there are still times when it feels average or generic to some more experienced viewers. The first arc is most evident of these, and a few moments within the Black Tournament saga are full of screaming to gain power/bide animation time that is quite pedestrian in this day and age. It’s a dense saga to be honest, as it takes up a bulk of the series, but many of the fights and characters introduced have gone on to become many of my favorites in anime. But I understand separating the production date and modern sentiments will be difficult, but not impossible. Hell, I’ve been watching Yu Yu Hakusho since its premiere so many years ago on Adult Swim/Toonami and I still think it’s an incredibly accessible series for anyone. The only weakness I think the series has is in its final saga, the Three Kings arc. 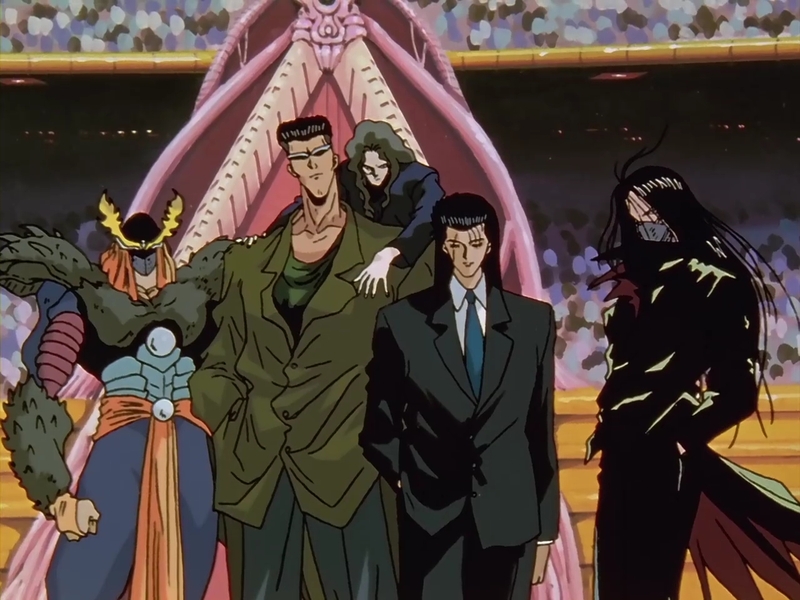 It seems as though Togashi tried to replicate the success of the Black Tournament saga, while continuing to develop his characters and ultimately lead to a satisfying finale. 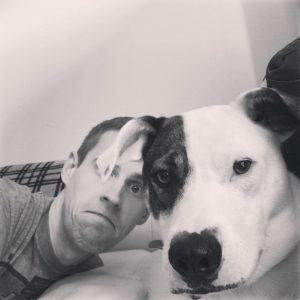 I think he does succeed in his intentions, but it eventually all feels rushed in the end. The arc only lasts 17 episodes before the final credits, and just packs in so much development between old and new characters it feels incredibly off when compared with the remainder of the series. A completely subjective outlook leads me to believe that Togashi was burnt out on the series and ready to end it with the previous Chapter Black saga. It’s not uncommon in anime/manga for the quality to dip over time and I think the same can be said about a lot of long-running shonen series: at some point it seems the “magic” of the writing is gone after a while. Even Togashi has indicated that his health wasn’t 100% through most of the latter half of the series, with erratic sleep schedules and daunting stress from production affecting him. Whether this was a fault of the WSJ editorial department or the general timetable of a mangaka to constantly ensure new content week in, week out is arguable, but it’s something that still affects not only Togashi, but many other mangaka to this day. It’s often heartbreaking to see a series go on hiatus or break for extended periods of time due to “author’s health” cited as the reason. I don’t imagine the editorial department are the proverbial slave-driver’s banging the drum instructing them to work or die, but it seems as though there is some extenuating circumstances causing this ordeal; or perhaps it’s a staple of the industry and we’re only just learning of it in the US, so it seems more severe than it truly is to an outsider. 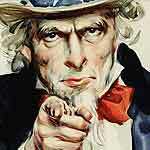 I’m not here to criticize the industry, nor put anyone on blast, just observing and remarking, nothing more. On a lighter note, Togashi is an admitted fan of the Dragon Quest games, so when his current series Hunter x Hunter (which is rife with hiatuses and breaks) is being published and a new Dragon Quest is on the verge of release, the joke that we won’t see new content until he’s completed it is comical. Enough sobbing over irrelevant things, briefly I need to discuss the English dubbing and soundtrack before we close. In regards to the English audio track, I think it’s the superior option over the Japanese option. As I’ve said many, many times before, Funimation are the absolute pinnacle of English dubbing, and Yu Yu Hakusho’s dubbing really helped cement them as a powerhouse in the early aughts. Each character’s personality stands out no matter how large or small their role. Urameshi’s actor Justin Cook (also director for the US version) nails the snide, cocky protagonist, and if you’re going to do a character who sounds as though they’ve gargled gravel, you must get Christopher Sabat to voice Kuwabara. At this point in the timeline of dubbing, it was on an upswing, but the attention to detail and quality of Yu Yu Hakusho’s dubbing stands the test of time and is still as praiseworthy as it was when it first aired. Definitely listen to this version if you can, it’s tremendous. On the soundtrack side of things, there are a number of standout selections, from the opening to the ending, and a lot in between. Each track often fits the scene sublimely, and composer Yûsuke Honma has tapped into an ethereal ‘90s sound with accompanying synths and strings that develop an OST that resonates and evokes. 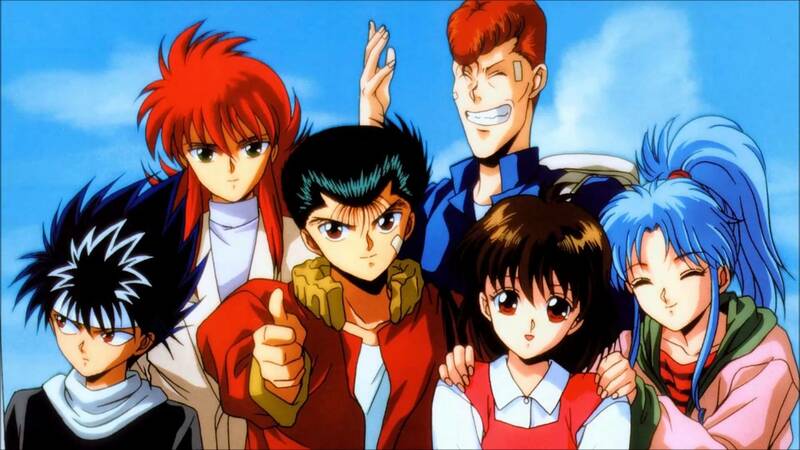 Yu Yu Hakusho has earned its legacy and it remains one of the strongest representations of the shonen genre in anime. While I personally think Hunter x Hunter is the superior series of Togashi’s creations, but I would never pass up an opportunity to enjoy Yu Yu Hakusho from the beginning. If you’ve never had the opportunity to discover Urameshi’s adventures as a spirit detective, there’s no time like now to do so, hop on over to Hulu for the subbed version, or Funimation for the dubbed route. 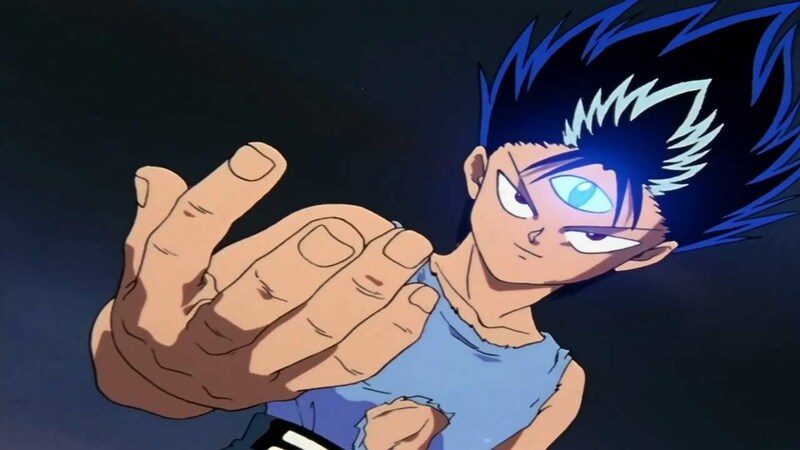 Yu Yu Hakusho is undoubtedly the longest series I’ve dedicated my A.S.S to, with its 114 episode count, but by the end I don’t even think you’ll notice its length and you’ll come to love it as much as I still do. Batman & Robin – Monday Night Movie! I only real knowledge and exposure to this was a Super Famicom fighting game, which was to be fair is pretty good. Nice pixel art, competent as a fighter and some really fun music. Oh cool, the only Yu Yu Hakusho game I was aware of is the PS2 “Dark Tournament” fighting game that borrowed heavily from the DBZ Budokai Tenkaichi series. Easily one of my favorite anime of the 90’s, along with Trigun and Dragon Ball Z. I’ve got a coworker who’s enjoyed shows like Naruto and DBZ, and I’ve been recommending him nearly a dozen different anime to watch while he waits for the next episode of Boruto. YYH is at the top of that list. It’s a perfect followup to DBZ/Naruto too. It has the basic setup of DBZ, with the wit/intelligence that Naruto’s battles had very early on. It’s a shame that series devolved into power levels over intelligent battles, but h, it’s still okay; just absurdly long.